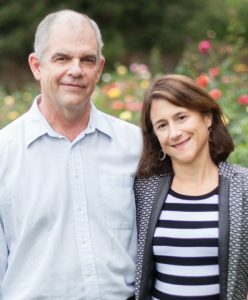 Mark Heising and Liz Simons, founders of the Heising-Simons Foundation, announced their participation in the Giving Pledge today. The Giving Pledge is a multi-generational, global initiative created by Warren Buffett and Bill and Melinda Gates that encourages the wealthiest families to give the majority of their wealth to philanthropic causes. The following is the letter Liz and Mark wrote about their philanthropy and why they joined. A young child’s discovery that a triangle is a triangle because it has three sides and three corners, the quest for what makes up dark matter, preserving our planet for future generations – these are some of the things Mark and I care about. Our time here is short, but our trajectory is long. We seek philanthropic investments today that we hope will have sustainable impacts long beyond our lifetimes. Our philanthropy is grounded in our life experiences. Years ago, when I was an elementary school teacher in inner city schools, I saw firsthand how students who had quality early learning experiences and nurturing families began with advantages that other children didn’t have, advantages that shaped their lives. Mark majored in physics, got his master’s in electrical engineering and computer science, and worked as a chip designer before going into finance. He became convinced that climate change could only be addressed by applying the best science and technology we have. He also never stopped being enthralled by the world of science and the promise of wonders yet to be discovered. So it’s no surprise that when we had the opportunity to start the Heising-Simons Foundation, we focused on the things we care about: early childhood education, science, and climate and clean energy. In early childhood education, our aim is to prepare young children for school and life by increasing access to quality early learning. In science, we believe that basic research, done strategically, has the potential to innovate, elevate, and revolutionize humanity’s knowledge. And in climate and clean energy, we seek to hasten the transition to a zero-carbon energy future. Mark’s parents and mine have been role models for us, and have had tremendous impact not only on what we do, but how we do it. Mark’s mother, who ran a food bank for many years, wanted to do good – and wanted to do good well. She created efficient systems, running the food bank like a strong business. My mother’s relentless activism around election integrity inspires us to never give up defending what we believe in. My father’s and stepmother’s philanthropic work in basic science, math, and autism excites us to dream of what can be possible by supporting researchers capable of transforming our understanding of our universe and of ourselves. Our parents were also the kind of parents who talked to us about inequities in the world, and the need to give back. My father’s and stepmother’s signing of the Giving Pledge exemplifies this attitude, and Mark and I are enormously grateful to be able to follow in their footsteps. The world we bequeath our children is changing in ways that we can’t predict. Mark and I have faith that our own children can pick up where we leave off and do the right thing, as they see it, with the legacy we leave them. By signing the Giving Pledge, we hope to encourage a tradition of giving that inspires generations yet to come.